Forgiveness: Good for Your Health? We can all relate to being hurt by others. A healthy habit that people may not realize is good for them physically is practicing forgiveness. We may believe that it is good for us spiritually or emotionally, but physically? And still others may be much more interested in revenge rather than forgiveness. Yet there is an abundance of research that suggests just how beneficial the art of letting go can improve one’s overall wellness. 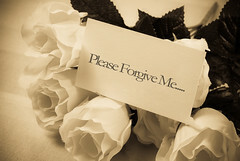 Before getting into the advantages of forgiveness and how to implement it, let us first define it. I like to think of forgiveness as letting go of a past hurt or injustice to the point where it no longer causes a marked negative emotional or physiological response. Another definition I like is, “letting go of the need for revenge and releasing negative thoughts of bitterness and resentment,” (Ponton, 2007). Forgiveness is not, however, approval of the offense. So why practice forgiveness? Now that the value of forgiveness has been established, here are steps one can take toward forgiveness. When we put our situation in this perspective, it makes it possible to empathize with the one who hurt us. Empathy enables us to have compassion for them. This has been helpful to me in removing the personal sting that comes with being hurt badly and moving toward letting it go. When we forgive we can heal. What helps me personally is choosing to forgive and allowing it to happen little by little over time rather than trying to force myself to forgive instantly. I used to hold grudges very tightly, ruminating over how I was wronged. I refused to forgive until the person apologized sincerely (and maybe not even then). So I prayed that God would help me work on forgiveness since I truly did not know how to do it, and He graciously has shown be step by step. No more ruminating over the injustice, just a releasing of it. That at times includes forgiving myself for things I have done wrong and making amends as best I can. It includes putting it behind me and not condemning myself indefinitely for it. When I have done this I have experienced remarkable personal growth. As a counselor, I have found that people have tremendous power over their thoughts and feelings simply by making different choices and being intentional. Forgiveness can be reached with or without continuing the relationship with our offender. There are times and situations when we may need to cut toxic people from our lives. We do not have to continue to be a victim to someone who may not seek or want our forgiveness. We can do it for ourselves. Forgiveness, while at times incredibly difficult, can be a very powerful practice in our lives. Forgiveness opens us up to numerous physical, emotional, and spiritual benefits. Even if the culprit does not deserve our forgiveness, we do. Thanks for reading. Do you have a personal experience with this you would like to share? Leave a comment below. Posted in Soul Food for Thought, Wellness and tagged Christian Living, Emotion, Forgiveness, Health, Hope College, Resentment, spirituality, Thich Nhat Hanh, Wellness. Bookmark the permalink.